Douglas O'Roark | Colorado Mesa Univ. 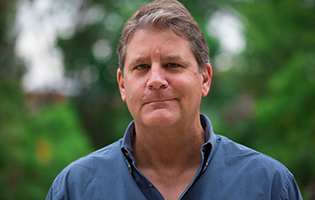 Douglas O'Roark, PhD, received his Bachelor of Arts and earned his Master of Arts and doctorate in ancient history from Ohio State University. A professor of history, O'Roark teaches Ancient Mediterranean World, Classical Archaeology, Early and Medieval Christianity, Medieval Europe, Medieval Eastern Europe and Russia, Renaissance and Reformation, History of the Islamic World, Western Civilization, Fifth Century Athens and Senior Seminar. O´Roark specializes in the social history of the Greek, Roman and Early Byzantine cultures. One of his research interests is classical archaeology, and he has worked at a variety of sites in Greece and the eastern Mediterranean.